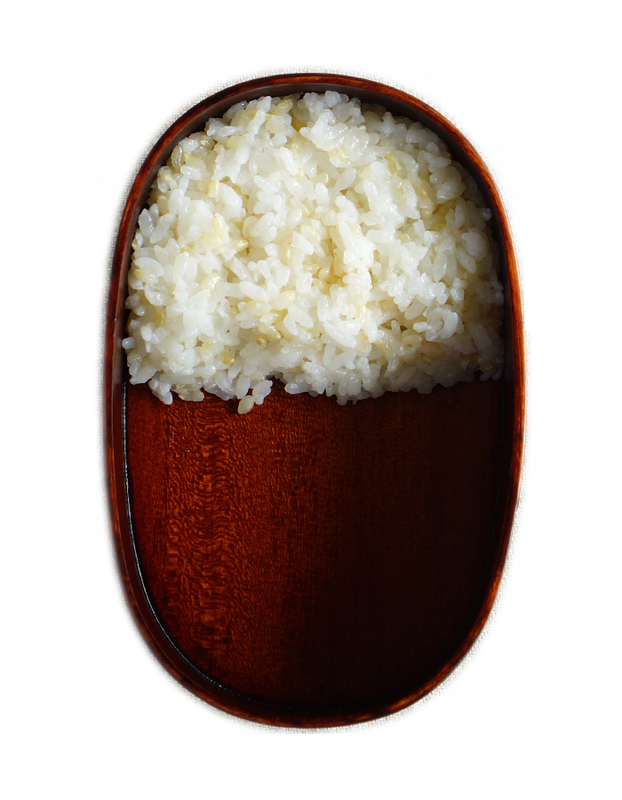 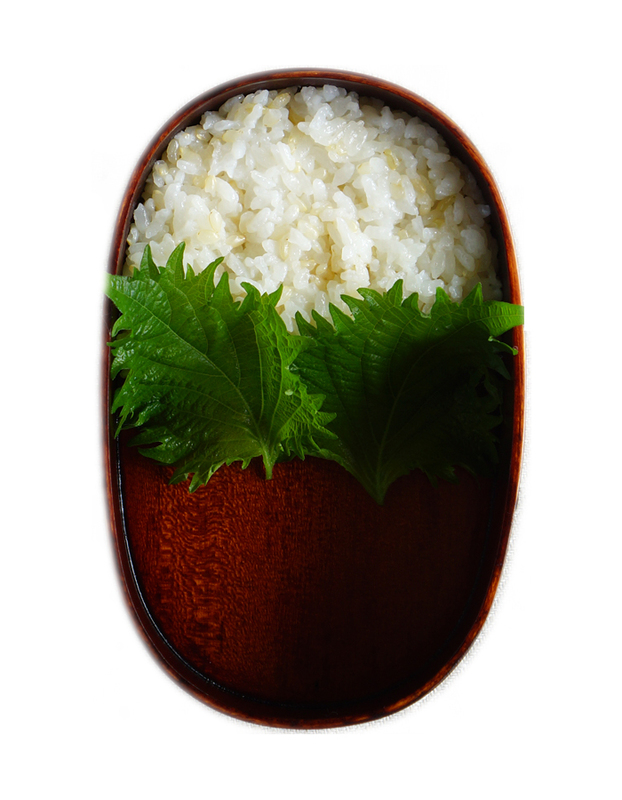 STEP 1: fill one half of the bento box with rice. 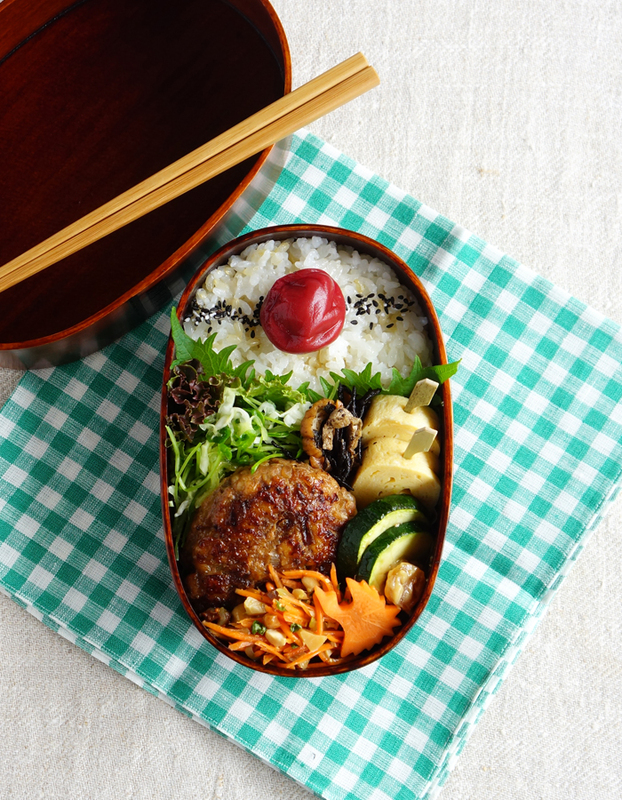 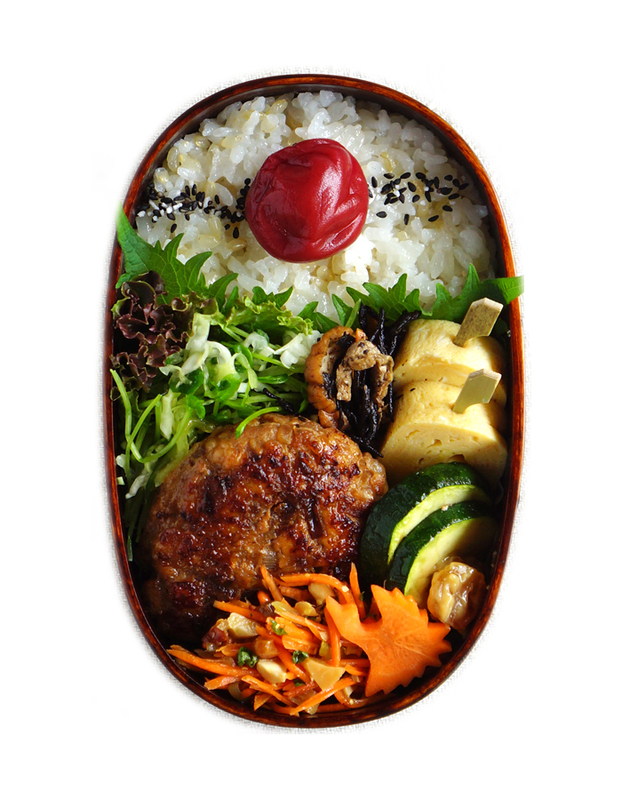 STEP 2: Pack main dishes into the empty part of the bento box. 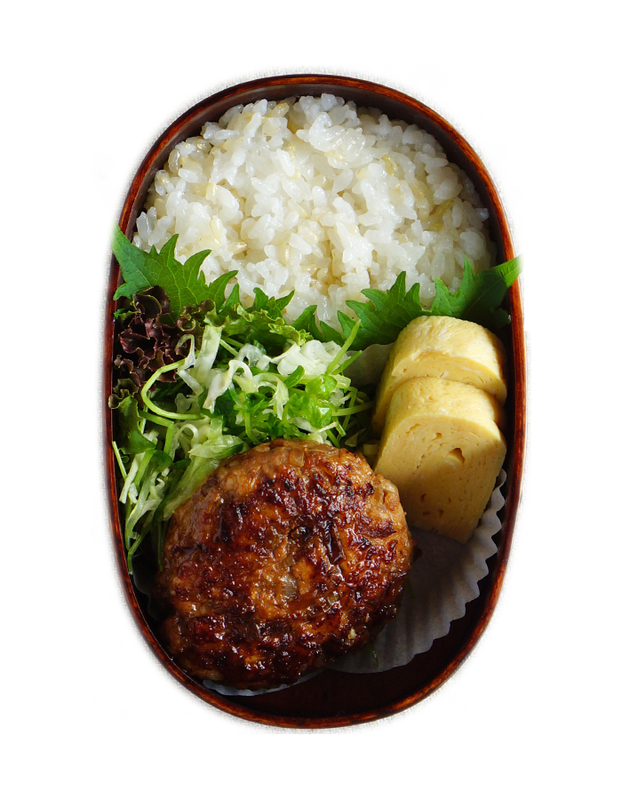 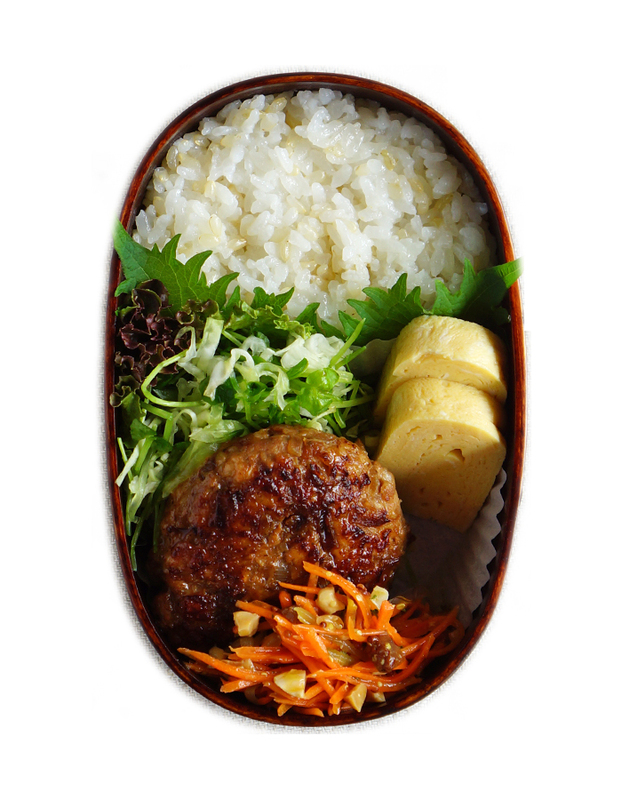 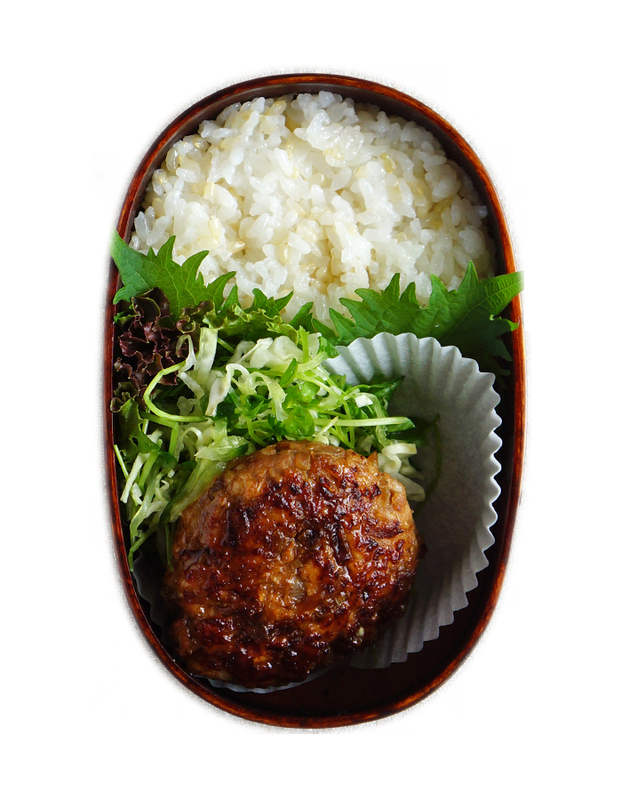 In this case, I packed the pork patty in the bento box along with green mixed salad and then put the rolled omelette into the box. 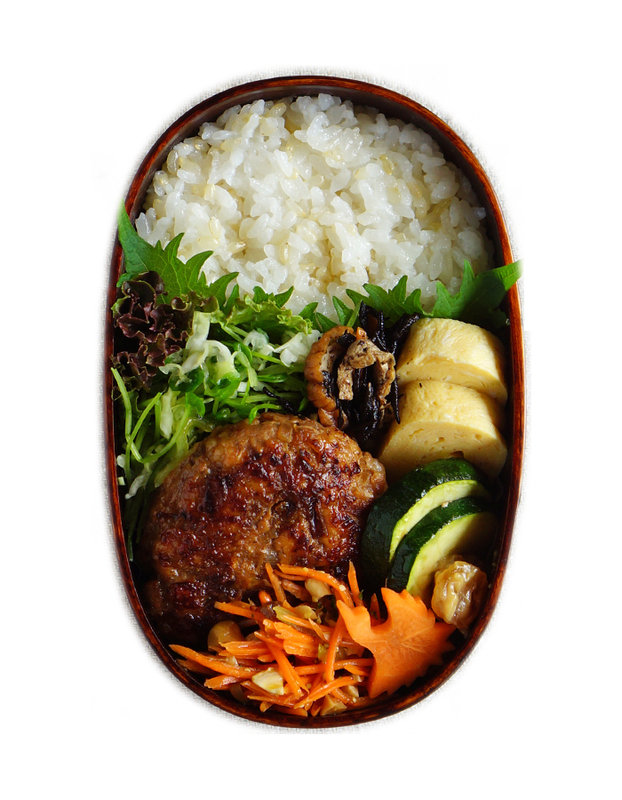 I fill the space with carrot salad, grilled sliced zucchini and hijiki salad. 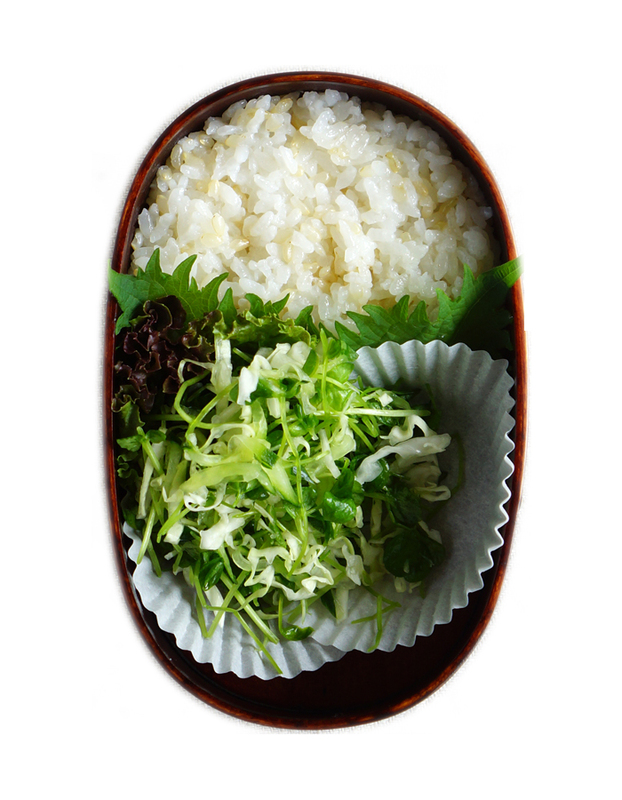 I sprinkled goma-sio on top of the rice and put umeboshi on the rice.